Dress like your favourite Peaky Blinders characters in this authentic Peaky Blinders Hat. This Authentic Peaky Blinder Headwear features a peaked flat cap design with adjustable pop button to open or close peak (though the peak is most often worn closed). Your Peaky Blinders Hat will usually arrive within 2-5 days. Peaky Blinders filmed in Liverpool! For those who don’t know, a lot of the scenes of Post World War One Birmingham were actually shot in Liverpool. 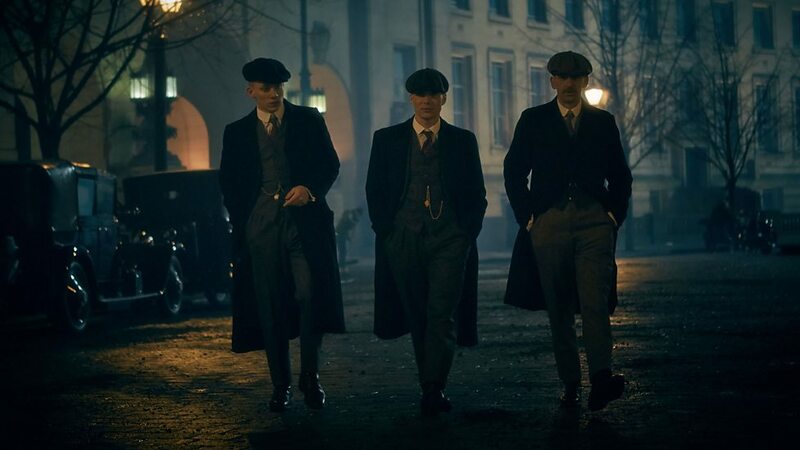 Not that we’re saying Liverpool looks like Post World War One Birmingham, as anyone who’s been to Sefton Park and Lark Lane will agree, but they can work wonders with CGI and well placed vintage props these days…you’re welcome Peaky Blinders! Larks were privileged to recently provide props and furniture for the Peaky Blinders TV show set. Find out more about the Peaky Blinders TV Show on Wikipedia.